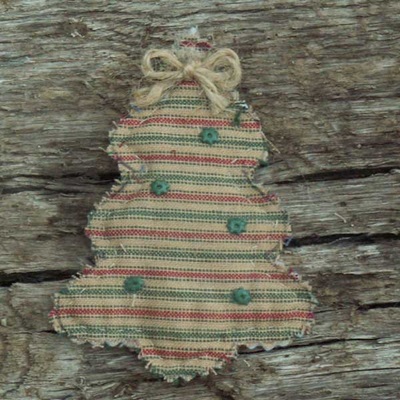 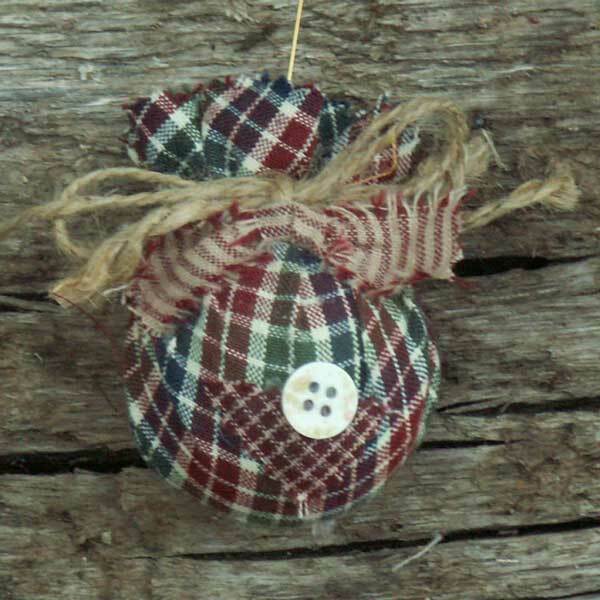 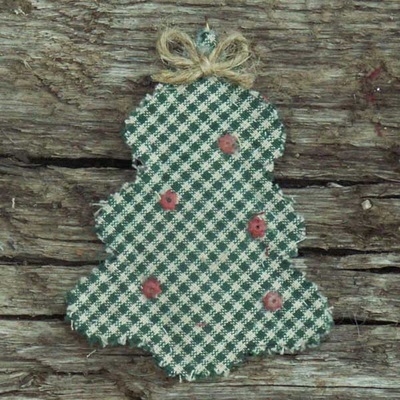 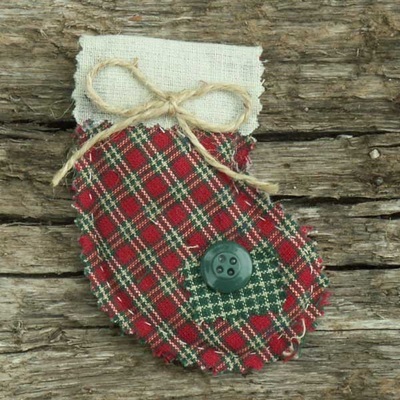 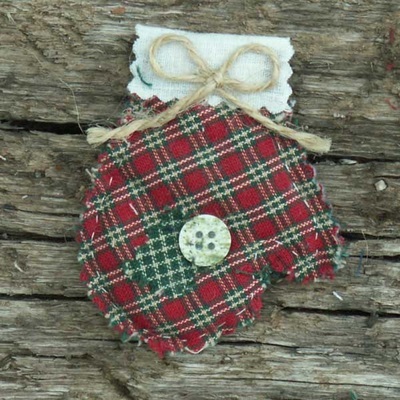 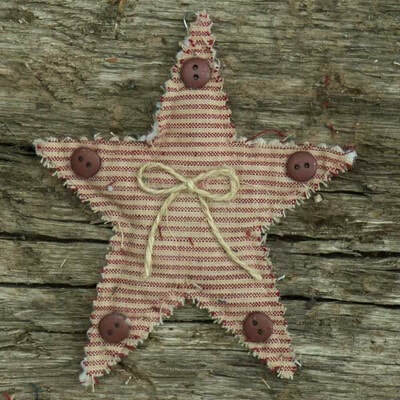 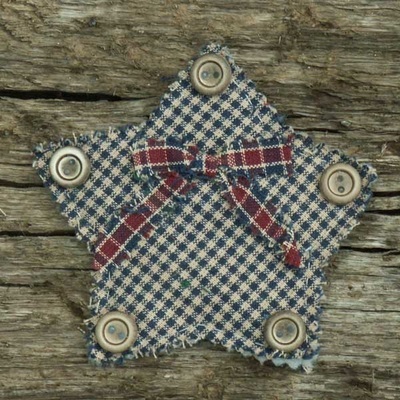 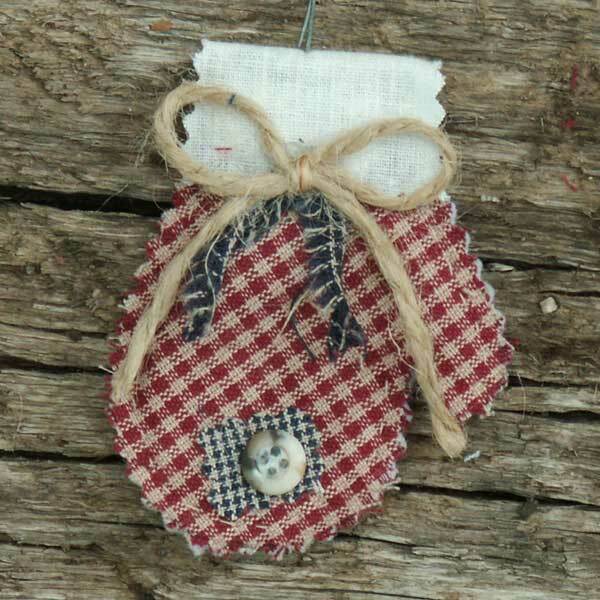 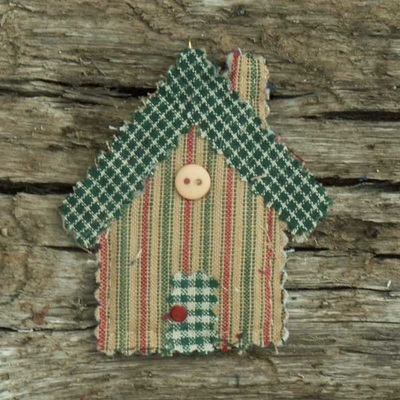 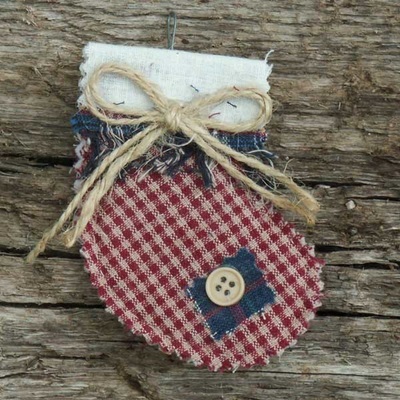 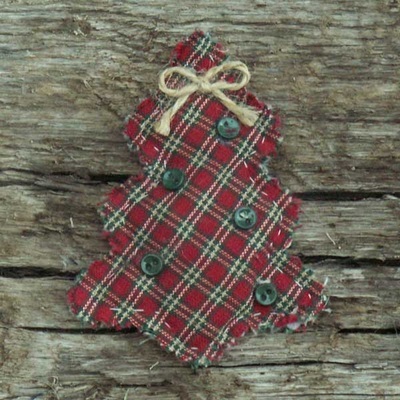 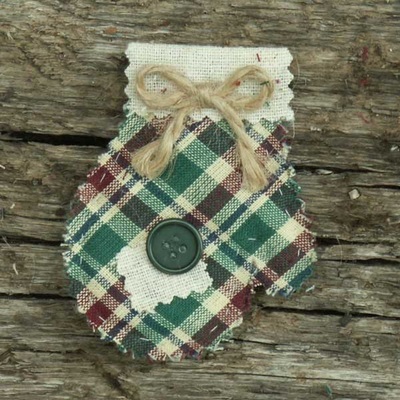 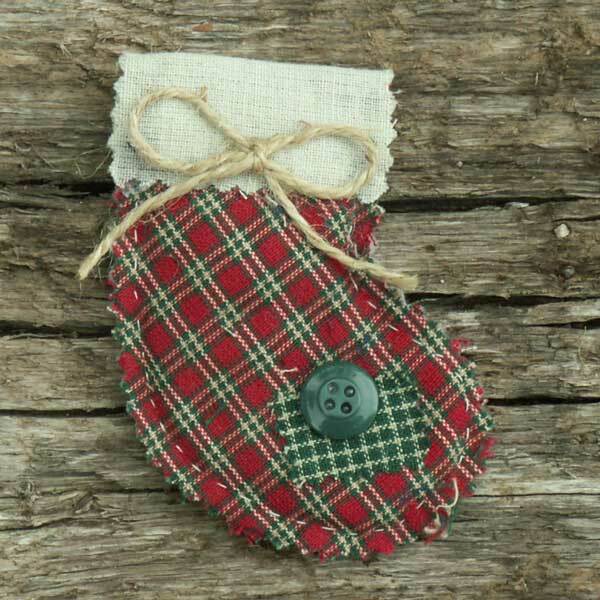 These primitive homespun Christmas ornaments are handmade from 100% cotton homespun fabric and embellished with assorted buttons, patches, and jute. 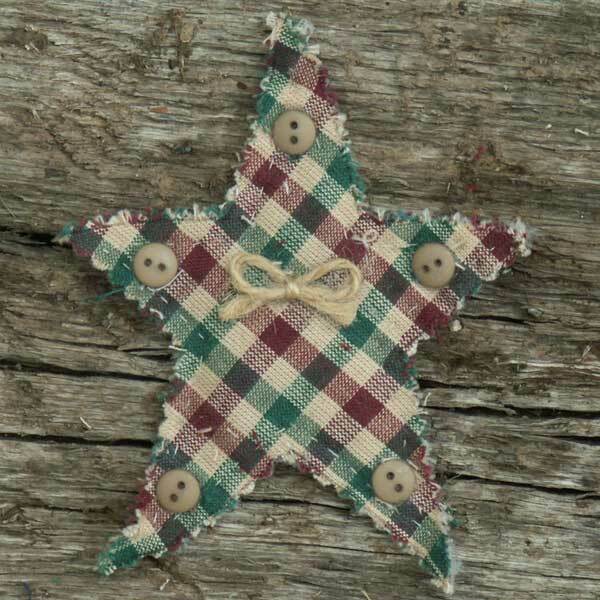 No two of them ever turn out exactly the same. 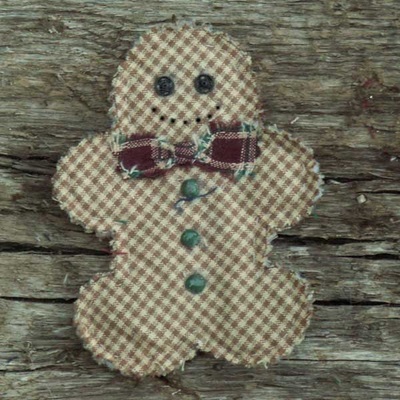 This is a great project for a group needing a quick & easy holiday craft. 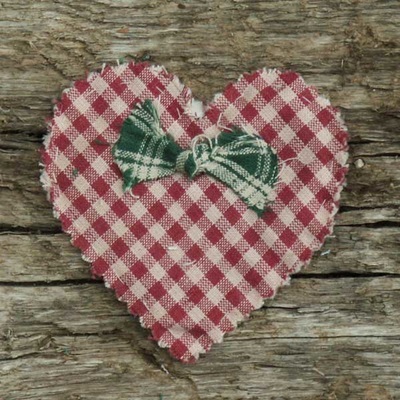 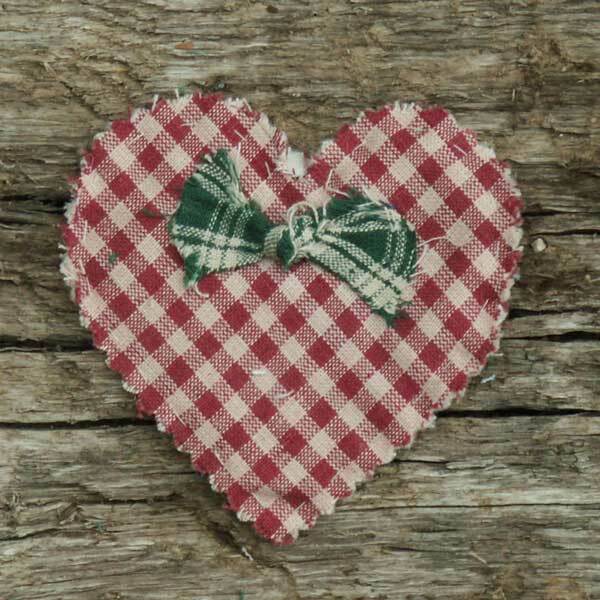 Just collect some of your favorite holiday shapes and trace them onto homespun fabric. 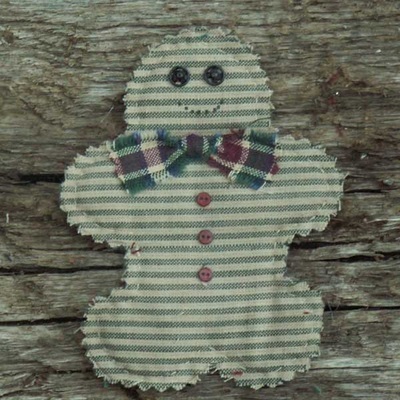 Then make a "sandwich" with batting between two layers of homespun with the top layer being the one that has your images on it. 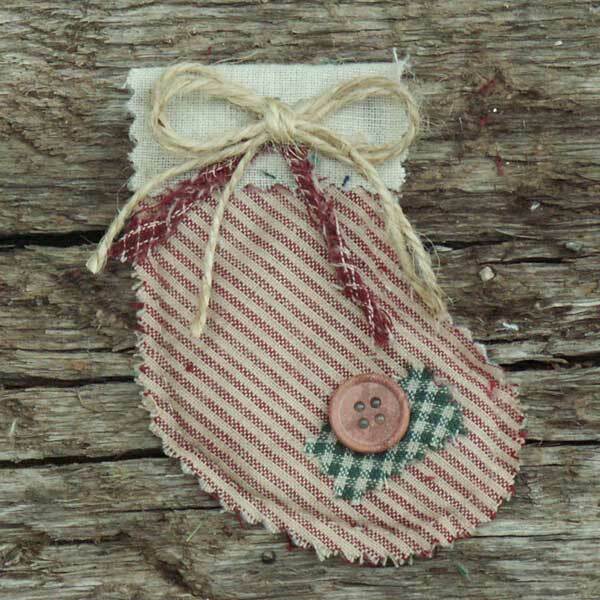 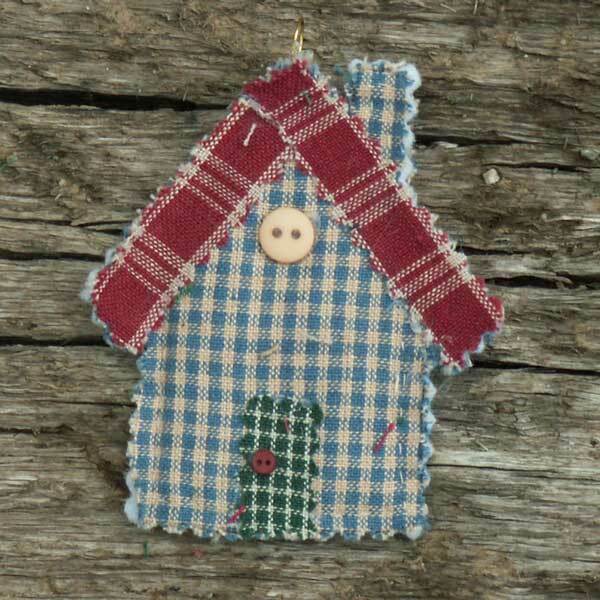 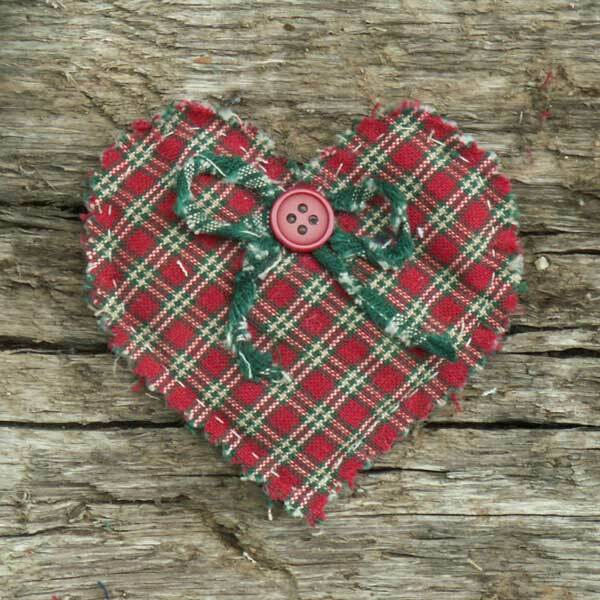 Hand stitch around the outline of your shapes and then cut out the ornament with pinking shears. 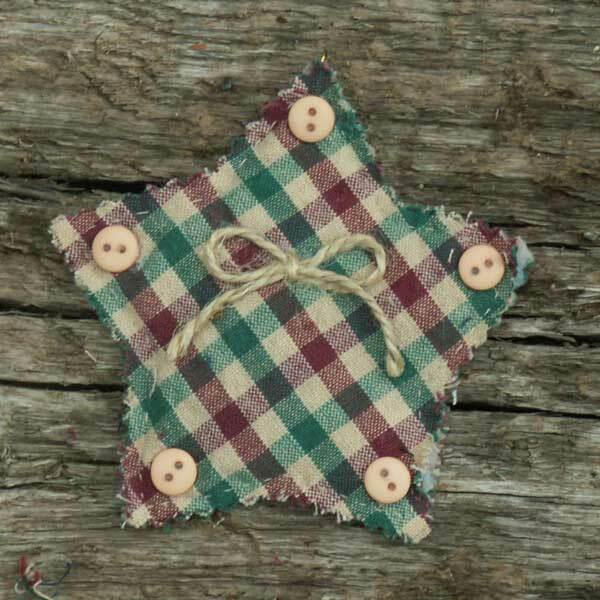 Decorate as you wish with buttons, patches and jute. Please click on each image to enlarge and see the details. 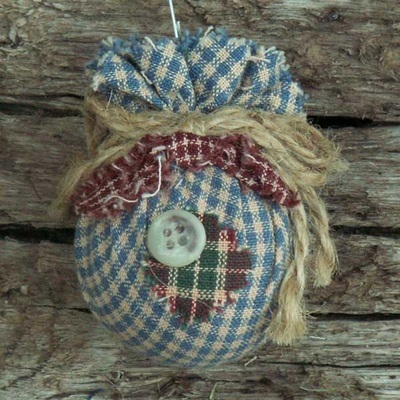 To buy an assortment of homespun and burlap holiday ornaments, please visit the Christmas Shop on Jubilee Fabric's website!